Cosmetic boxes with attached handle. These boxes are made from fine Cardboards. The thickness of these boxes ranges from 300 gsm to 400 gsm. There is special ribbon attached for branding purpose. These Perfume boxes are made of different boards using different effects. The thickness of the board varied from 320 gsm to 400 gsm. 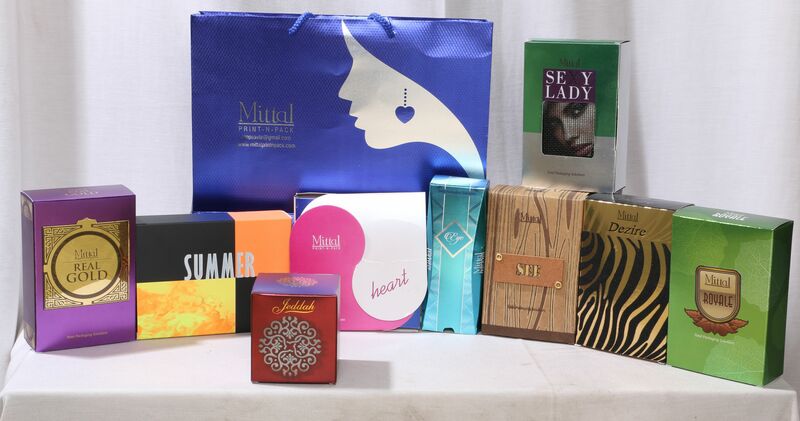 These cardboard boxes can be customized as per your requirement. Garment Boxes Manufacturer We manufacture garment boxes on both foil board and normal board. We provide special shimmer effects, emboss and hot stamping as well. These boxes start from 320 gsm to 450 gsm board. The metallized garment boxes with drip off are in huge demand. Pharmaceutical Equipment Boxes Supplier This box is ideal to store medicinal instruments. This is of 700 gsm in thickness to keep the product safe and sturdy.